Many marketers agree with the principle of clean, current and permitted data but then look at their data inheritance - legacy systems, a hodgepodge of silos - and despair. Most companies will agree that customer data is a paradox. On the one hand, it has vast potential to generate growth and increase market share. On the other, it opens up not just one can of worms but a whole shelf of them, as holding and using data opens them up to all sorts of possible infringements and faux pas. The impending application of GDPR - or the General Data Protection Regulation - in May 2018 just adds to the sense of uncertainty. Many marketers agree with the principle of clean, current and permitted data but then look at their data inheritance - legacy systems, a hodgepodge of silos - and despair. There’s certainly a good deal of headline-grabbing going on. The FT recently reported that the Fortune 500 will spend a combined $7.8bn - and nearly $16m each - to avoid falling foul of GDPR. Those figures can seem frightening when viewed as a cost to the business. On the other hand, it really is a question of perception. And instead of viewing GDPR as an action that is going to ‘cost’ the business money, how about looking at it as an opportunity, a catalyst, an investment in enhancing business performance? GDPR isn’t a ‘one and done’. It’s not just about getting the data house in order. It’s about building clean data foundations and instilling good data behaviours that stand businesses in strong stead for the future. So what do those foundations look like? 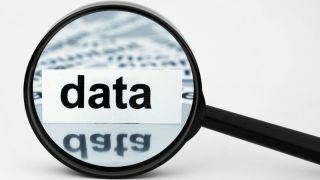 "personal data" shall mean any information relating to an identified or identifiable natural person ('Data Subject'); an identifiable person is one who can be identified, directly or indirectly, in particular by reference to an identification number or to one or more factors specific to his physical, physiological, mental, economic, cultural or social identity. In short, it protects everything you can think of in relation to a customer you can identify - logins, shopping history, emails, tweets, texts, delivery messages and so on. 2. Clean up existing data and make sure all the relevant permissions are attached, including adding the overt permission options to all future data requests. These options aren’t mutually exclusive and can, if managed well, lead CMOs and CIOs to develop some seriously beneficial communications best practice along the way. The first, hugely satisfying task is to get your house in order. With so much data sloshing around in the organisation, marketers feel compelled to use it. Equally with the potential to gather information, particularly through automated channels, marketers tend to gather in whatever they can, just in case it comes in handy. This means a lot of time and energy (and money - data storage isn’t cheap) is spent husbanding data that is of negligible use. Marketers lose focus on what really makes a difference. The need to make each piece of data count helps companies drill down into what really matters. Knowing the longitude and latitude of a customer’s location isn’t actually very useful but knowing where they commute and shop is. GDPR reduces the amount of data businesses have to sift through and gives them more usable audience segments instead. The digital playground is so broad, the opportunities to play about with hundreds of ideas rather than a handful can make us a bit lazy when it comes to thinking hard before launching a campaign. The fail fast mentality is still valid but it has come with a side order of ‘throw everything at it and see what sticks’. As users need to give their consent under GDPR, location data will be the front line of customer marketing. This will ensure marketers stay compliant from the off and that consumers are given the best experiences at all times. A win-win for all concerned. Marketers are obsessed with targeting and personalisation. With good reason. These are both proven routes to growing market share. But marketers have also become obsessed with granularity when it’s not necessary. It’s entirely possible to create highly relevant ads or campaigns without knowing the exact name, rank and serial number of each customer’s past, present and future. Data without the relevant permissions will need to be updated, anonymised or removed. However there is a great deal marketers can learn and model based on entirely anonymous information. Even by removing Personally Identifiable Information (PII) data companies can understand and act on audience segments. Understanding general consumer behaviour - where they live and work, what places they visit; how external influences impact those visits - weather, media, economics - is hugely important. This builds the all-important context around personalised communications. The ramifications of getting the data house in order stretch far beyond the marketer’s remit. In an environment where data is mostly raw, bulk, unstructured and siloed, clean data is an elemental target for the entire company. The customer experience utopia depends heavily on clean, current and beautifully managed data. Customerthink reported that businesses typically see $3 returns on every $1 spent improving customer experience. A survey it cited stated 40 per cent report increased revenues, 38 per cent saw better financial performance than competitors and 37 per cent improved sales cycles. Complying with GDPR is no trivial matter. Failure could lead to fines for companies of up to €20 million or 4 per cent of global annual turnover. But this should really be the only threat in a process that is otherwise nothing but opportunity. Less is most definitely more when it comes to data. Instilling great data practice to grow market share means that compliance is automatic – a byproduct of intelligent strategy.